RNA provide automation solutions throughout the automotive industry to meet the high levels of productivity and quality standards demanded by the industry. Operation Description: The flange and weld nuts are sorted in a bowl feeder and subsequently accumulated on a linear feeder with correct positioning. At the end of the linear feeder each of a flange- weld-nut is transversely shifted off. From this position the nut will be taken on by a handling system. The handling drives the weldnut to the welding position. Feeding Rate: ca. 12 parts per minute per run. Operation Description: From a customer loader the aluminum casings reach the bulk hopper. 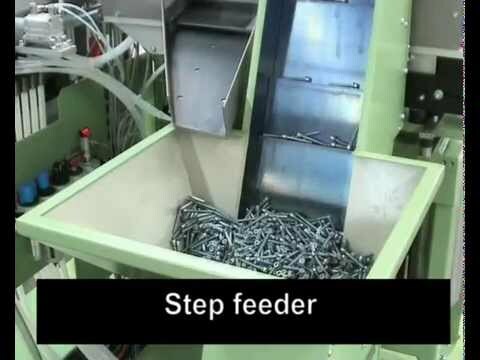 A hopper passes the workpieces onto a flat feeder. On the flat feeder the aluminum casings are sorted turned lengthwise with the open ‘U’turned downwards and passed to an accumulation conveyor. 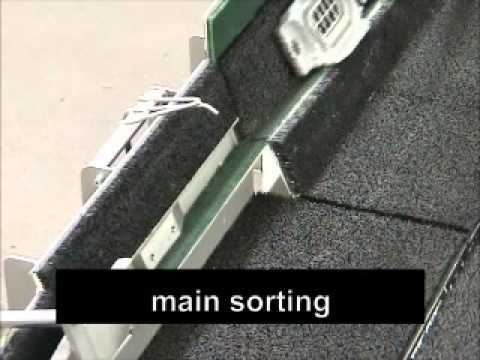 At the end of the accumulation conveyor the workpieces are separated. An control station recognizes the orientation of the filling bore on the long side of the workpiece. A handling grabs the aluminum casing and transports it upwards over the conveyor of the vulcanizing machine. When a pocket of the cycle conveyor is underneath the handling position the aluminum casing is laid onto this receiver. Feeding Rate: Cycle time: 8 seconds. Operation Description: The workpieces are filled into a bulk hopper and dosed into a bowl feeder. The valve seats are sorted in the bowl feeder and passed to a linear feeder as accumulation track. At the end of the accumulation track each valve seat is individually passed to a rotating distributor. A mandrel is passed into the valve seat at a station and calibrates it. The calibration process is tested with a force measurement instrument. At a later station of the rotating distributor a hander of the assembly machine extracts the valve seats. Feeding Rate: 8 parts per minute. Operation Description: The pieces are loaded as bulk into a ca. 350 liter capacity bulk hopper; they are moved to the bowl of the bowl feeder in doses. Situated one behind the other in respect to the axis, they are passed-by a combination of sensors at the beginning of a linear track without further separation. Pieces with the large diameter oriented backwards are returned back to the bowl. At the end of the accumulation track the pieces are gripped and swung into a vertical position. Feeding Rate: 7 parts per minute. feed the parts to dead nests. A hold back cylinder regulates the flow of components when a part is lifted from each nest. By designing the system this way each track can be used independently with no changeover or adjustment to suit the requirements of the customers cycle times.